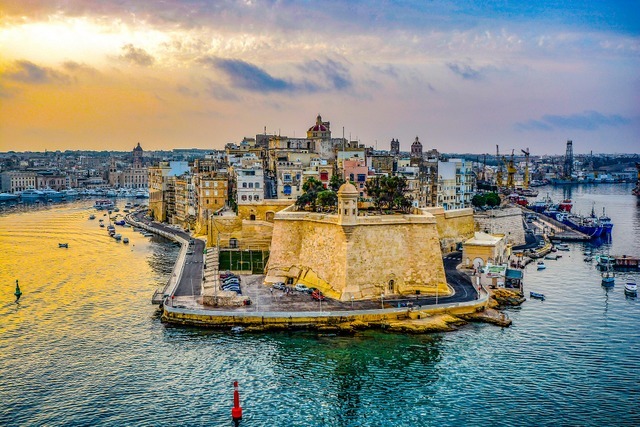 An island nation that lies in the heart of the Mediterranean, Malta is as dense with UNESCO Heritage Sites as it is densely populated; a cultural blend of English, Italian, and Arabic influences, with a rich history and a prehistoric past. 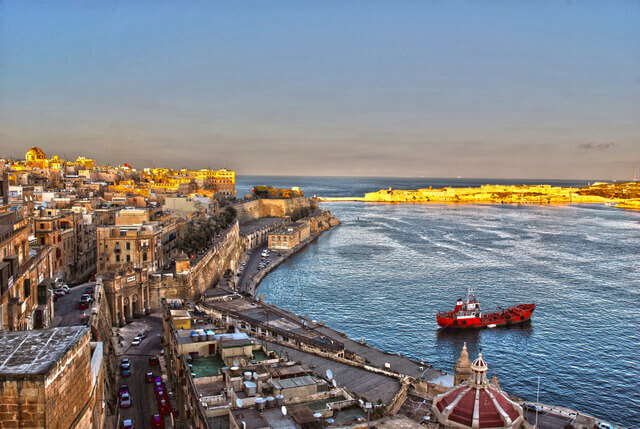 The largest of the country’s three main islands, Malta is the nation’s cultural centre. 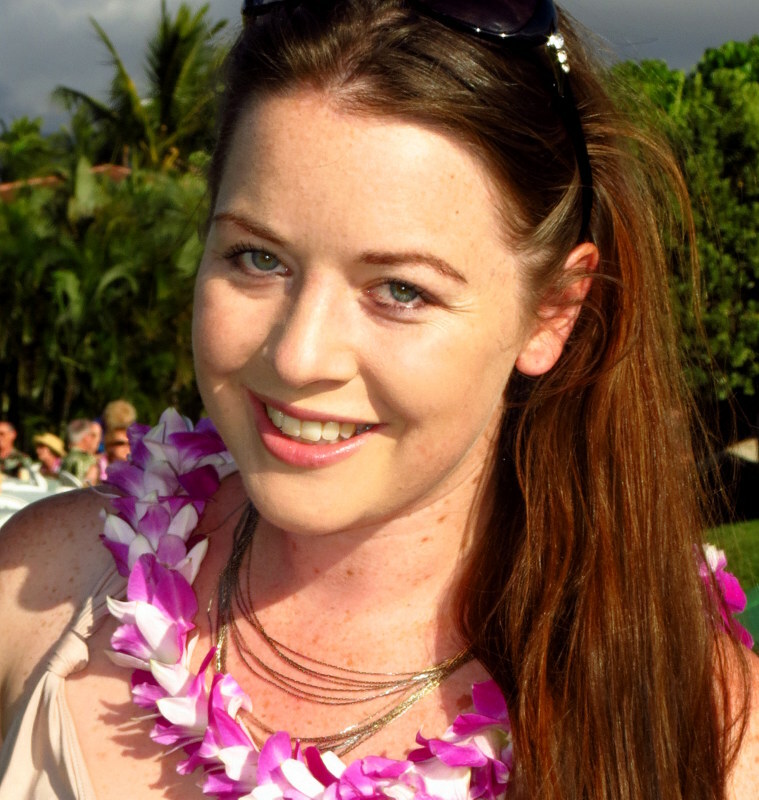 Exploring the island is rather easy as it is quite small, and English is widely spoken. Buses will get you to even the most remote parts of the island, or you can hire your own car to explore on your own schedule. For such a small island Malta certainly packs a heavy punch; a holiday here allows you to take in prehistoric temples, some of the most beautiful beaches in the Mediterranean, fossil studded cliffs, incredible scuba diving, and a food scene which mixes Sicilian and Middle Eastern flavours with local Maltese ingredients like rabbit and honey. Not yet convinced you should visit? 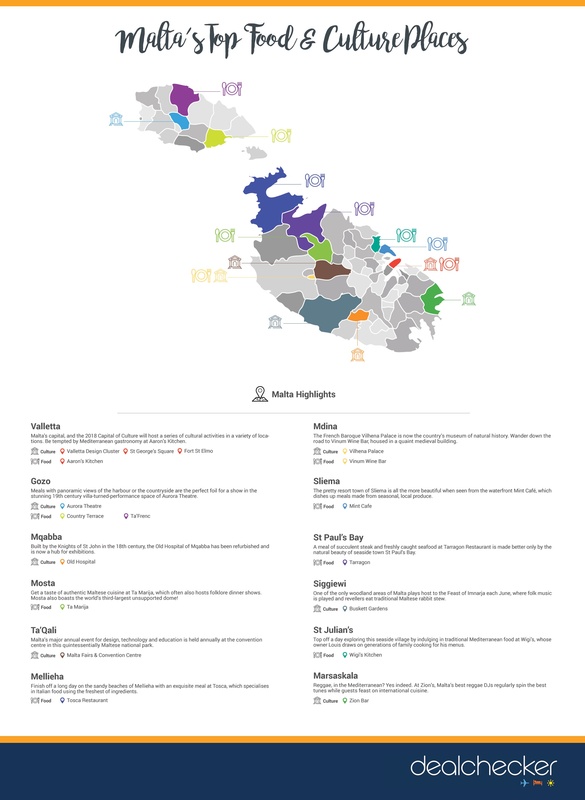 You will be after reading more about the country’s top cultural treasures and cuisine! Header image by Giuseppe Milo. Above by Kirk Fisher. With 7,000 years of history under its belt, Malta offers a surprising amount of cultural attractions for such a small island. 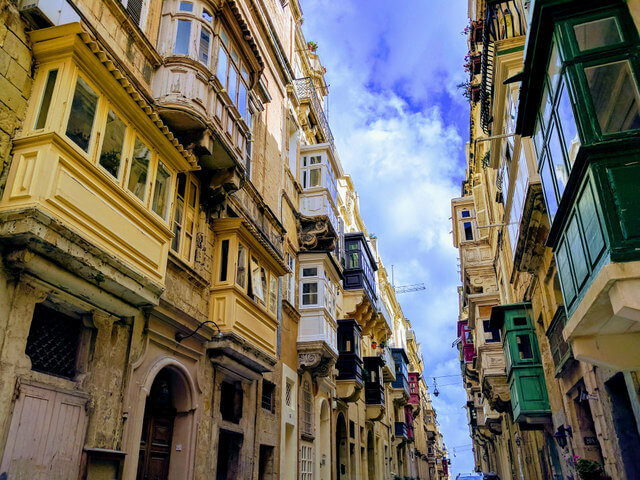 With a population nearing a half million with an area around 100 square miles, Malta can be a bit crowded at times, but it is equally overrun with intriguing historical sites. 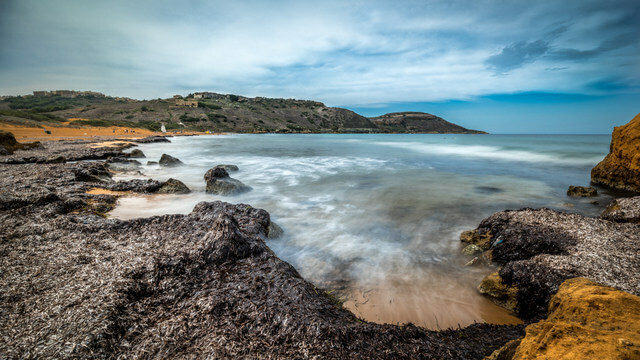 Currently Malta is home to 3 UNESCO Sites with a further 7 on what is known as the tentative list to possibly become additional Sites in the future. The following are sites that are not to be missed as part of your Malta experience. One of Malta’s 3 UNESCO Sites, The Ħal Saflieni Hypogeum is an underground prehistoric burial site. With remains that date back to about 4000BC, it is Malta’s only prehistoric burial open to the public. A highlight is its red ochre paintings. Be sure to check out the St. Johns Co-Cathedral, Lascaris War Rooms, and the stunning waterfront. Some of the oldest buildings in Europe are found in Malta. You’ll find 7 megalithic temples split between the islands of Malta and Gozo. Built between 4000BC and 3000 BC, they are some of the oldest free-standing stone buildings in the world. See them all as each one is unique and offers incredible architecture. 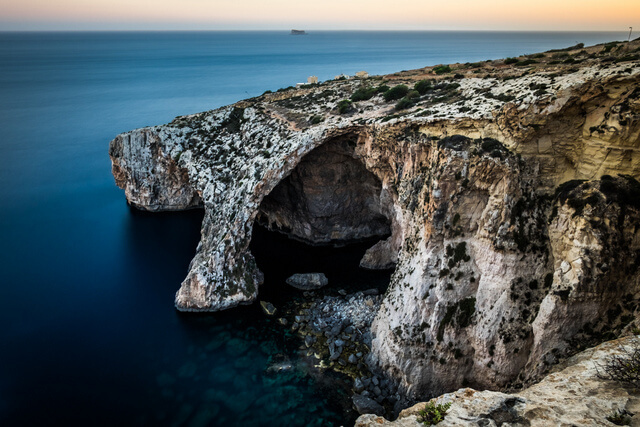 Malta’s impressive coastal cliffs are home to many rare endemic plants and animals. Vertical rock faces rise from the sea over 100 meters where they plunge nearly as deep into the waters below. Be sure to hike along the Dingli Cliffs which offers amazing views and a great place to watch the sunset. Once the residence of the Grand Masters of the Knights of St John, the 16th century Palace now acts as offices for the President of Malta. Tour both the state rooms and the armoury where you’ll experience marble paved corridors, paintings, suits of battle armour, swords, and cannons. Malta offers some of the finest Mediterranean cuisine with a twist which changes with the seasons. Seafood lovers will be in heaven and you’ll find offerings such as rabbit stew for the more adventurous tastebuds. The country takes pride in its incredible honey and you’ll find traditional Ġbejna cheese made from sheep’s milk in almost every restaurant. Wine connoisseurs can sample fine Maltese wines that are rarely found outside the country. Here are just some of the local tastes that should be sampled during your travels to Malta. 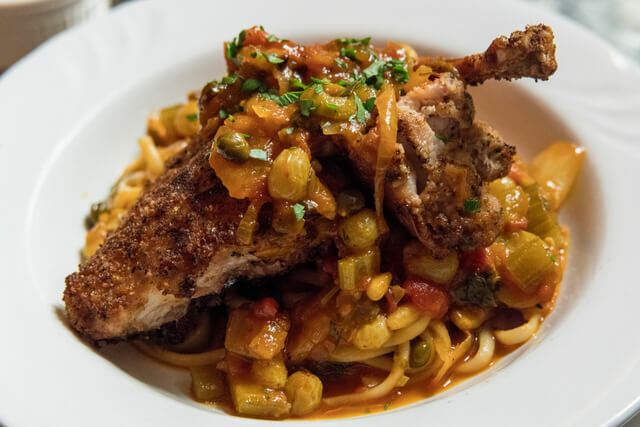 With meat so tender it falls of the bone, rabbit stew is delicious. It must be popular since it has been served in the Maltese Islands since the Knights of St John. Ingredients include red wine, garlic, onions, carrots, potatoes, and of course olive oil. For a quick and delicious snack, you can’t go wrong with picking up a ftira sandwich. A disc-shaped flat bread similar to ciabatta, your ftira sandwich can be filled with a wide array of fillings. Try hobz biz-zejt where the ftira is rubbed with tomatoes, bathed with olive oil, and stuffed with tuna and olives. We’ve all heard of meat pies, but how about a fish pie. Lampuki is more commonly known as mahi-mahi, a mild white fish. This dish combines England’s savoury pie with Arabic flavours and Italian specialties such as olives and tomatoes. Perfect for vegetarians and for eating on the beach, kapunata can be enjoyed hot or cold and consists of cooked green bell peppers, tomatoes, onions, capers, olives, and garlic. Non-vegetarians could opt to throw in some fish or shellfish. 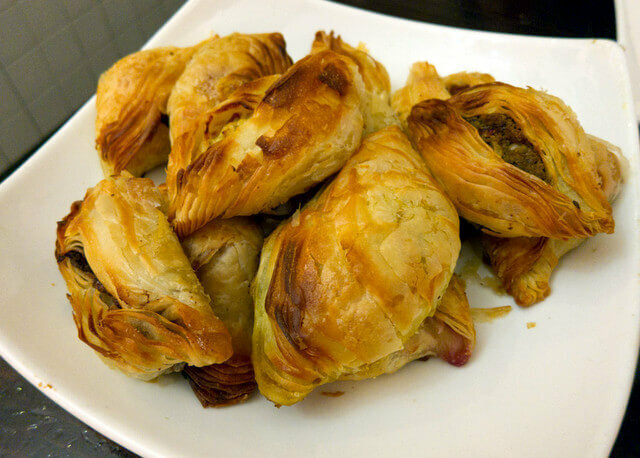 You may be familiar with the pastizzi as it has found its way into other countries throughout the world. It is a savoury flaky pastry generally filled with peas and ricotta cheese, but can also include apple or corned beef. Malta offers no shortage of restaurants around its archipelago. From fine dining to lovely little cafes, Malta provides more than enough places to eat to keep your stomach entertained. Here are some of our favourite Maltese restaurants. Take your dining experience to new heights, quite literally at Dinner in the Sky. The restaurant accommodates around two dozen guests as it elevates them some 40 metres above the ground in a kind of large chairlift-like structure. Enjoy stunning open air views of Malta’s Manoel island. The restaurant changes location from time to time, so confirm where they’re currently hanging when you make your booking. Head to the rural island of Gozo with its scenic hills to eat at Ta’ Philip which prides itself in selecting locally grown produce. The restaurant offers a wood fire oven and the Candle Lounge which is perfect for an after dinner drink. Be sure to taste one of their many wines from the restaurant’s large cellar. Bahia is one of Malta’s newer restaurants, offering a fresh modern feel in Lija. The menu is constantly changing so there is always something new and exciting to try. Be sure to head to the fishing village to sample the freshest seafood from numerous restaurants that have sprung up to meet the demand of tourists. Every Sunday the village comes alive with tourists and locals looking for the freshest catch of the day. Half a million folks? I’d never have known. I figured this smaller island housed fewer people. Reminds me of Cyprus in many ways. Mediterranean island going way back, with forts, rich history and some fine eats too. I absolutely loved Malta, and being Italian I can confirm that the food scene is an intricate mix of Sicilian flavours, local ingredients (the grilled octopus is also delicious) and Middle Eastern spices! The only thing I didn’t really like that much was the Lampuki pie, but that’s a personal thing, nothing to do with the quality of the recipe! Fabulous to hear from you Danila! Being from the Mediterranean yourself, glad to hear that you’re a big fan of Malta as well :) When it comes to the food scene, individual dishes are definitely going to come down to a personal thing – but at least you gave it a try! 7000 years of history and 3 UNESCO World Heritage Sites are good enough reasons to visit Malta, but I am so happy to learn about Kapunata – the vegetarian dish. I know I can always trust Mediterranean cuisine for vegetarian options but I never heard of this dish. Thanks for introducing me to a new one. Malta, in my opinion, might be the next upcoming tourist destination. I have been hearing so much about it lately and it seems so beautiful just by looking at the pictures. The coastal cliffs are amazing and the food looks pretty awesome too (although I am not so sure about the rabbit stew!). 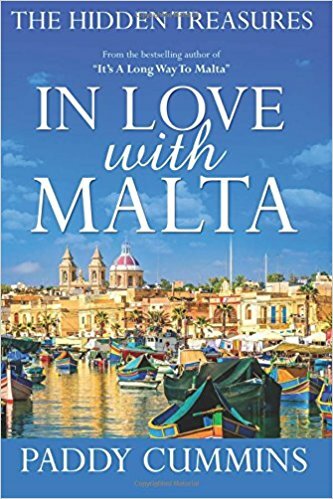 I like to read about Malta. I get lots of informative information about it from here and want to be there before going on niagara falls to new york. What an impressive guide! 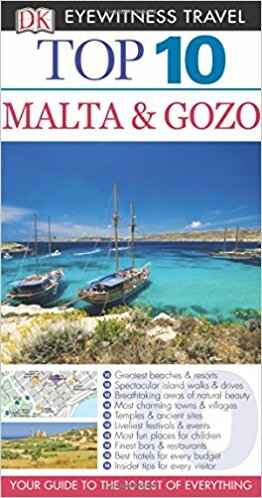 My wife and I have always wanted to visit Malta but never knew where to start, but this is a great push in the right direction. I can’t believe how densely packed one island could be with cultural and historical significance! We love to visit UNESCO Heritage Sites around the world and with three already, Malta sounds like a great deal! Honey, goat cheese and rabbit stew! Oh my! 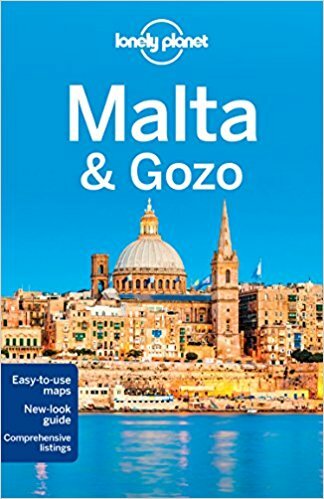 Thanks Stevo, I’m glad we could give you an overview of Malta, and some ideas on where to start planning your trip. If you’re a big fan of World Heritage you’ll be in good hands with Malta – so much fascinating history here! 3 UNESCO sites in one place!!! That tempts me to visit. 7 megalithic temples split between the islands of Malta and Gozo…. that will require some bit of planning. Can they be covered in couple of days? Add to that the food scene too looks good. I hope to be there soon very soon. Crazy right! And that’s just the UNESCO Sites – there are many other sites throughout Malta which in my opinion are just as significant. I would recommend a couple of days in Malta and a couple of days in Gozo, but the ferry between the islands takes less than 20 minutes and costs €4.65 round trip (or it €15.70 if you bring a car). So it’s very easy to fit everything in and jump between islands if you only have a couple of days max. You’re strapped in for dinner in the sky, so that does help with the fear of heights! But yes this is probably the most epic dining experience in Malta. You’re in good hands in Malta if you’re a seafood fan. Glad we could bring the island to the front of your mind again! I love Malta and have been several times. I have not experienced the dinner in the sky, that looks really fun! I also would like to visit the coastal cliffs as they look beautiful, as I did not see them when I was there. Maltese food sounds amazing, I usually plan my travels around food so this is great news! I’ll have to try rabbit stew, and I love cheese so I’d be all over that! I also didn’t know that dinner in the sky was in Malta, I’ve seen it in Mexico City but haven’t tried it yet! A really unique cross section of cuisine in Malta, you’ll love it! I’ve seen Dinner in the Sky in Brussels too – might be enough for a blog list in its own right :D! 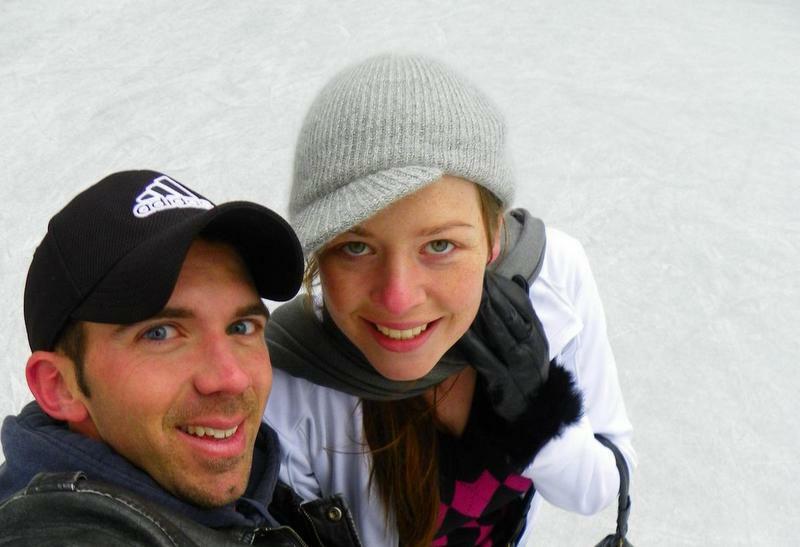 WOW I love the images, amazing, do you think you will be back soon? !